The demand for aluminium products is growing steadily because of their positive contribution to modern living. Aluminium is the second most widely used metal whereas the aluminum can is the most recycled consumer product in the world. Aluminium finds extensive use in air, road and sea transport; food and medicine; packaging; construction; electronics and electrical power transmission. The excellent recyclability of aluminium, together with its high scrap value and low energy needs during recycling make aluminium highly desirable to one and all. The contribution of recycled metal to the global output of aluminium products has increased from 17 percent in 1960 to 34 percent today, and expected to rise to almost 40 percent by 2020. Global recycling rates are high, with approximately 90 per cent of the metal used for transport and construction applications recovered, and over 60 per cent of used beverage cans are collected. Aluminium does not degrade during the recycling process, since its atomic structure is not altered during melting. Aluminium recycling is both economically and environmentally effective, as recycled aluminium requires only 5% of the energy used to make primary aluminium, and can have the same properties as the parent metal. Infact, aluminium can be recycled endlessly without loss of material properties. During the course of multiple recycling, more and more alloying elements are introduced into the metal cycle. This effect is put to good use in the production of casting alloys, which generally need these elements to attain the desired alloy properties. The industry has a long tradition of collecting and recycling used aluminium products. Over the years, USA and European countries have developed robust separate collection systems for aluminium packaging with a good degree of success. Recycling aluminium reduces the need for raw materials and reduces the use of valuable energy resources. Recycled aluminium is made into aircraft, automobiles, bicycles, boats, computers, cookware, gutters, siding, wire and cans. Aluminum can is the most recycled consumer product in the world. Each year, the aluminum industry pays out more than US$800 million for empty aluminum cans. Recycling aluminium cans is a closed-loop process since used beverage cans that are recycled are primarily used to make beverage cans. Recycled aluminium cans are used again for the production of new cans or for the production of other valuable aluminium products such as engine blocks, building facades or bicycles. In Europe about 50% of all semi-fabricated aluminium used for the production of new beverage cans and other aluminium packaging products comes from recycled aluminium. Step 1: Aluminium cans are collected from recycling centers, community drop-off sites, curbside pick-up spots etc. Step 2: Compressed into highly dense briquettes or bales at scrap processing facilities and shipped to aluminum companies for melting. Step 3: Condensed cans are shredded, crushed and stripped of their inside and outside dyes. The potato chip-sized pieces are loaded into melting furnaces, where the recycled metal is blended with brand new aluminum. Step 4: Molten aluminum is converted into ingots which are fed into rolling mills that reduce the thickness to about 1/100 of an inch. Step 5: This metal is then coiled and shipped to can manufacturers. The cans are then delivered to beverage companies for filling. Step 6: The new cans, filled with your favorite beverages, are then returned to store shelves in as little as 60 days … and the recycling process begins again! Aluminium packaging fits every desired recycling and processing route. Aluminium packaging needs to be separated from other packing material when intended for material recycling. A growing number of sorting facilities are equipped with eddy current separators which offer a comprehensive means of sorting the aluminium fraction. Multi-material packaging systems may consist of plastics, tinplate, beverage cartons and paper packaging, apart from aluminium packaging, e.g. beverage cartons. A variety of systems have been developed to extract aluminium from complex packaging systems, such as repulping, mechanical separation and pyrolysis. In pyrolysis, the non-metallic components are removed from the aluminium by evaporation. A newer technology is the thermal plasma process where the three components – aluminium, plastic and paper – are separated into distinct fractions. Aluminium exposed to fires at dumps can be a serious environmental problem in the form of poisonous gases and mosquito breeding. 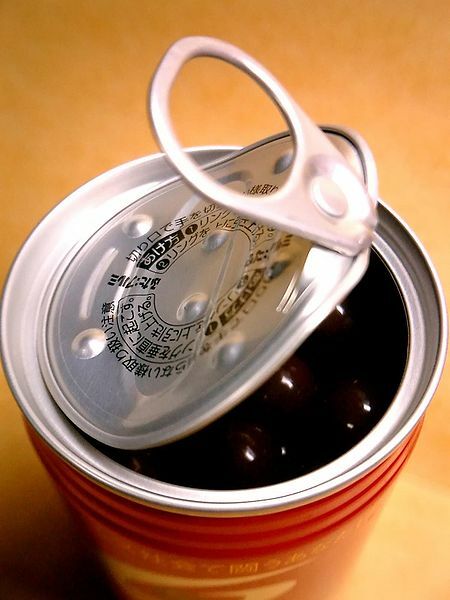 Recycled aluminium can be utilized for almost all applications, and can preserve raw materials and reduce toxic emissions, apart from significant energy conservation. Aluminium can also be extracted from the bottom ashes of municipal solid waste incinerators as aluminium nodules. In many European countries, municipal solid waste is entirely or partly incinerated; in this case the contained thin gauge aluminium foil is oxidized and delivers energy while thicker gauges can be extracted from the bottom ash.